Our Tectorian’s of the Week are: All 11 of the VIATEC Board candidates! They pushed aside any nerves and got on stage at yesterday’s AGM at Fort Tectoria to tell everyone who they are and why they should be on one of the best boards around. It was a fantastic turnout and during the AGM, VIATEC also officially changed its name from “Victoria Advanced Technology Council” to “Victoria Innovation, Advanced Technology and Entrepreneurship Council.” Everyone is very excited for the next year and what growth it will bring. If you didn’t make it out to the AGM, below are the candidates’ bios. To see the final elected 2015-16 board, click here. Jim’s career has been spent working in the Tech sector in Silicon Valley, Seattle and Vancouver. Most recently, Jim relocated to the Victoria area to take a position as SVP Operations at the semiconductor developer and manufacturer, Redlen Technologies. Jim would like to contribute where he can to the continued growth of the Tech sector here on Vancouver Island. Jim has worked in a number of senior and executive management roles over the past 30 years including manufacturing, engineering, sales, venture capital, COO and CEO, and has developed and launched disruptive products and technologies in medical devices, electronics manufacturing and alternative energy. Jim has a Systems Engineering degree from Waterloo and an MBA from Harvard. Jim has been fortunate to experience both successes and failures in the Tech sector, and has learned a lot along the way from both. Jim has helped raise ~$75m in financing for numerous companies from various public and private sources including an IPO, follow-on financings, angel investors, VCs, and government programs. Jim has been a board member, angel investor, and mentor to a number of companies over the years, and is keen to share these experiences and give back to the Tech community. President, PlusROI Online Marketing Inc.
I’ve worked in software and tech marketing internationally since 2001 for companies ranging from small start-ups right through to large organizations. I’ve been running my own small web marketing agency (PlusROI Online Marketing) since 2007 and have significant insight as to the challenges (and opportunities) faced by our local tech firms who want to grow internationally. 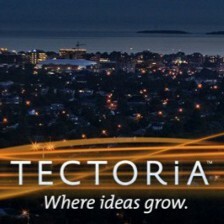 I’m a VIATEC member, board member, tenant at Fort Tectoria, booster for Accelerate Tectoria, member of 3 VIATEC Round Tables, and speaker to numerous VIATEC groups. I’ve worked with a number of “visionary” leaders and while I don’t consider myself to be in that group, I am a very practical and effective strategist and have a unique ability to identify the small steps en route to the bigger goal. I’m hugely passionate about the City of Victoria and a big fan of VIATEC and the organization’s major successes in the last 10 or so years. I’ve had the opportunity to closely watch as the industry has flourished in the city. I feel very grateful for VIATEC’s efforts and am excited to help out however I can on the board. Back in 1983 when I told my mom that I was planning to leave my secure job in finance at General Electric to work as an Account Manager at a software company, she became very perplexed and asked: “Why on earth would you want to work selling underwear at Fruit-of-the-loom”? What people today refer to as dinosaurs were called mainframes back then and there were probably no more than 100 software companies in the entire world. I say this not to age myself, but to provide context. Thirty years from now, when the future Board at VIATEC and its members look back at 2016, what will they say about the leadership of the technology sector in Victoria? What bold moves and decisions were made to help cement Victoria as a viable technology hub for future generations? I’ve worked in small, medium and large technology companies, based here and elsewhere, mostly in sales and marketing management roles. Start-ups, enterprise mergers, dot com boom and bust: been there and done that, and this experience and perspective (hopefully) will help in charting the waters moving forward. This year, I made a significant career change by taking a position in government, with Trade and Invest BC, where I help promote B.C. businesses to the world and to attract investment to the province. As a Board member, I would strive to make a difference by helping ensure VIATEC continues to be viable and useful entity for years to come. Marc works at Colliers International in Victoria as a Commercial Real Estate Advisor. Leading their Tech Practice Group, his primary focus is working with tech companies, exposing them to the funky, heritage-style office spaces that Victoria has to offer. A successful relationship involves finding a company a space that meets their budget, is reflective of their culture and brand, and aligns with their growth strategies. Marc works to fully understand the relationship between a tech company’s culture and business plan, and how that relates to real estate. After graduating from the Gustavson School of Business at the University of Victoria in 2013, Marc joined the Colliers team as the Research Analyst for all of Vancouver Island. He was responsible for producing all market update reports, which gave him an unparalleled understanding of the commercial real estate market in Greater Victoria and on the island. Marc’s objective in joining the VIATEC Board of Directors is simple: to help members grow their business by offering advice when looking for a new location. Landlords and tech companies (especially those in their early stages) are often miles apart on negotiating a lease, and it is at this point that Marc believes his involvement with VIATEC and its Board would be beneficial to its members. In Marc’s opinion, this is the most important thing that VIATEC does as an organization – bringing together individuals with different skill sets and fostering a spirit of support and guidance to help each other grow. Ho Kim moved to Victoria when he was 1.5 years old and at the tender age of 48, he cannot think of a better place to operate his business from. Ho is one of the founding members, director, president and CEO of Camacc Systems Inc., a video surveillance sales and installation company. Since their inception in 1998 in Central Saanich, they have branched out across Canada and have amassed a fantastic resume of national clients such as Best Buy, Petro Canada, Shell and London Drugs to name a few. Satellite offices include software engineering labs in Victoria and China selling their Vigil Digital Video Recorder (DVR) Software globally in a license form, a distribution sales office in Westminster, an in Colorado selling their turnkey Digital Video Recorders to a dealer market across the United States. Ho Kim was a 2014 Pacific Region Ernst and Young Entrepreneur of the Year. I’m an entrepreneurial leader with more than 25 years of experience, primarily in the high tech sector. I have a proven track record defining strategies for successful, sustainable growth for start-up ventures and existing enterprises alike. As the CEO for RevenueWire, I’ve established the company as the industry leader in our vertical, successfully launching new services and driving double-digit growth in revenue and profitability year-over-year. I’m also the CEO of an early-stage venture called FuturePay, which I’ve led from ideation to million-dollar revenue traction. The Victoria tech community has been a wealth of support for me, especially the many VIATEC programs from networking and talent attraction to round tables and mentorships. By volunteering for the VIATEC Board, this is my opportunity to join in and give back to this vital part of our community. As a Board member, I’ll bring my strategy development expertise and broad management skills along with my enthusiasm to help VIATEC continue to grow and provide exceptional value to its members. Alex Mendelev is a co-founder and CEO of TinyMob Games Inc. Mr. Mendelev has been at the forefront of the game industry for well over a decade, holding key executive positions in technology, game production, product management and business development. Most recently, he served as the General Manager and Head of Studios, Canada at GameHouse, where he led a studio of over 50 people in the development of industry leading Free-to-Play games for mobile phones and Facebook. Prior to joining GameHouse, he served as Vice President of Business and Corporate Development at Backstage Games, a Victoria-based game company that pioneered the Free-to-Play business model in Canada and was the first game developer in the country to create free to play games for Facebook. At Backstage, he was instrumental in tripling the Backstage’s revenue in less than a year and structuring an acquisition with GameHouse, one of the largest casual game portals in the world. He previously held technical and management roles building and distributing games through mobile devices. Alex holds a B.Sc. in Computer Science from the University of British Columbia and an MBA from McGill University. Christina is passionate about start-up communities and helping young companies grow. From planning events and bolstering culture, to managing international recruitment and growth – Christina leads all aspects of people operations for MediaCore, an ed-tech start-up based in Victoria, BC. Christina came to MediaCore with a deeply rooted background in technology, having formerly worked for amazon.com and the University of Victoria’s Computing Systems department. In her spare time, she can be found playing video games, leading the Victoria chapter of Ladies Learning Code, or frequenting one of the many acclaimed restaurants Victoria has to offer. NOTE: This was submitted Andrew, CMO of Terapeak, as a nomination of Anthony with his support. Big Data — for the past 11 years I have worked developing Business Intelligence tools for e-commerce merchants. As the Master Licensing Partner of eBay e-commerce Data, Terapeak has created systems to manage over 33.8+ Billion transactions, representing over $686 Billion worth of online spending from 150 Million consumers around the world. This single e-commerce data set is one of the largest unstructured data sets, and also one of the most valuable — with respect to real time consumer insights. Terapeak was building “Big Data”​ before “Big Data” was a catch phrase. Currently Terapeak serves over 28,000 of the worlds largest e-commerce merchants, and has developed SaaS solutions for over 2,600,000 merchants worldwide. Ms. Van Maurik is actively involved in VIATEC and is a booster with VIATEC’s accelerator program where she mentors start-up businesses and appears as a frequent guest speaker. Carli has extensive experience in a wide range of business law matters including assisting her clients with (technology) start-up formation, debt and equity financing, sophisticated corporate/capital structuring, corporate governance, maintenance and compliance, as well as shareholders agreements. In addition, she regularly assists clients with complex corporate re-organizations and helps by avoiding and solving stakeholder disputes. Other areas of practice include negotiating and preparing share/asset purchase, franchise and licensing agreements. She has extensive experience in structuring corporate entities, societies and not-for-profits, cost-sharing arrangements, joint ventures and partnerships. Carli has volunteered her time with the Access ProBono Society of British Columbia providing legal advice to low income individuals. 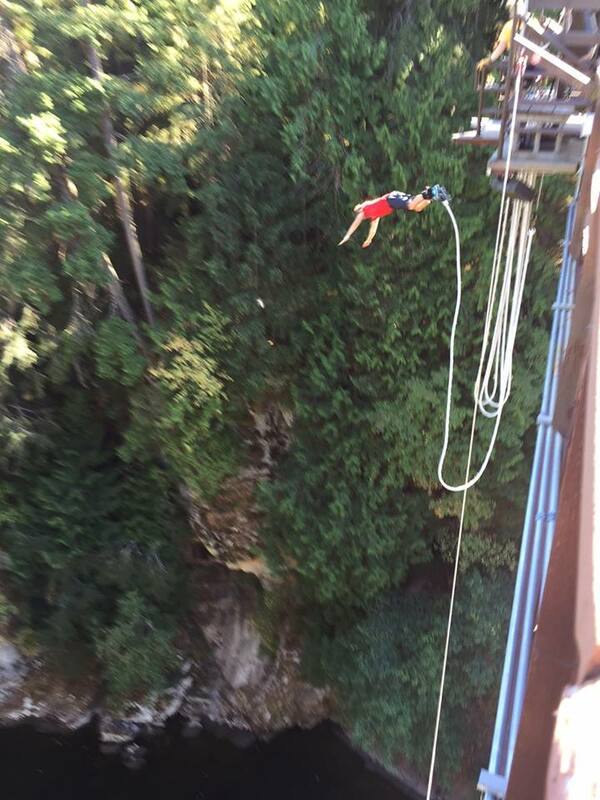 She was sought out to make a guest appearance on a Victoria television show profiling the local business community. Carli is also an Advisor with ICE which is a resource for helping budding entrepreneurs research and potentially launch a new venture. It is also a resource for very early ventures that have yet to raise outside money (beyond early “friends and family”) and which are now reaching a stage where they need to polish a business plan and become “Investor-Ready”. ICE is an initiative of the Gustavson School of Business on behalf of the University of Victoria. Carli is a graduate of St. Mary’s University in Nova Scotia and attended law school at Dalhouse University where she received the Award of Academic Excellence and was on the Dean’s List for 2002 – 2003. Carli was called to both the British Columbia Bar and the Nova Scotia Bar in 2007. Brad works as a consultant for various technology companies. Over the last 15 years Brad has held, CEO, President, Chief Financial Officer and Chief Operating Officer roles for companies. Brad has assisted in raising over $30 million in funds, lead the sales and diligence processes for several exits (including a $370M exit), lead and completed 3 CPC (capital pool companies) processes, completed a CCAA restructuring and more. Brad is a passionate entrepreneur who has started his own start up (raising 750K in venture financing), attended the C100’s 48 hours in the valley and a keen following of all things lean startup related. Brad has been mentoring start-up and early stage companies for many years as an accredited lead mentor in the BCIC AceTech VIATeC MVP Program and actively advising a number of companies at any given time. Brad is a Board member and the head of the finance/audit committees with VIATEC and Power to Be Adventure Therapy. Grant Storry is the Director of Mobile Products at Beanstream, a provider of omni-channel (online, mobile & retail) payment processing, risk management and authentication services. It was founded in Victoria in 2000 and in 7 years, it’s gone through FOUR acquisitions! Just announced yesterday, Beanstream has been acquired by Bambora, the world’s largest payments startup and Swedish FinTech Innovator. It’s fantastic news as it brings money to Victoria and keeps the work here. It also had Grant in a really pumped up mood at yesterday’s Demo Camp at Experience Tectoria (it wasn’t just because he was excited there was beer). For other companies who ever need to demo, Grant suggests looking up Simon Sinek’s TED talk “Start With Why” for a crash course on how to captivate a group’s attention. VIATEC has worked closely with Grant and Beanstream and has been somewhat of a “lab rat” (in a good way), for their latest product that Grant showed off yesterday. Beanstream now has over 650 merchants using sproutPOS across Beanstream and our banking partners. Grant is a BC-native and has worked for Wondermill Webworks (founders of Neverblue and One Net were also staffed at this startup), Peter Gustavson at Custom House, Bet Smart Media (founder), and ZenBanx. When Grant started with Beanstream in 2013 it was a contract to build a business case around mobile point of sale and a launch plan for North America. Towards the end of the engagement Craig Thomson (President) and Grant flew to the US to pitch the concept to the executive of Digital River. Digital River loved the concept and funded the project as a stand-alone innovation initiative. This allowed them to run the sproutPOS project as a lean startup within a larger organization pioneering a hybrid approach to product innovation. “I wound down my other contracts and came on board with Beanstream full time to lead the initiative, and have been here ever since. The opportunity is ideal as we can capture all the benefits of being a startup: innovation, lean, agile, with the benefits of a larger organization: funding, resources, connections, partnerships, distribution”. Grant has also become a father over the last 2 years and is getting to participate in a “human startup” which has been the greatest experience he’s ever been a part of. We think he may have the “finger-in-many-pies” syndrome, but it seems to be working for him! James grew up in Victoria and went to the University of Victoria for Commerce and Computer Science. While he was attending UVic, he was also launching GenoLogics (again, that syndrome we spoke of). GenoLogics was formed in 2002 with the simple goal of building a flexible and adaptable Lab Information Management System (LIMS) for the burgeoning proteomics industry. GenoLogics sold Genomics Informatics Systems to over 120 leading edge research customers including hospitals, large pharma companies, biotechs, and university genomics centres across the US and Europe. Illumina, the leader in Human Genome Sequencing, just acquired GenoLogics one month ago, making James very happy. 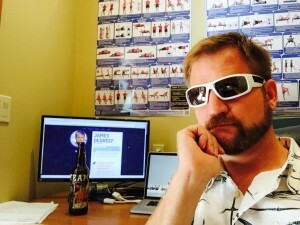 James is currently focused on rapidly growing his new company, ChatterBlock, and investing in local tech companies. ChatterBlock is a hyper local social networking and content site targeting the unique requirements of families and their supporting communities. It’s currently in 25 major regions across Canada and the USA. Their focus now is launching in more US cities as most of Canada is now covered (They’re working on Boston right now). 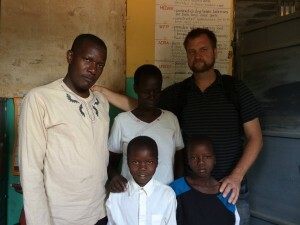 James is also working with a friend to set up a school 1 hour north of Kampala, Uganda. He’s planning on travelling back there in 2016 and working on even more projects. But before he leaves the country again, he will be participating in next week’s Experience Tectoria event. He will be speaking on a panel called “So you want to be acquired?” on Thursday, Sept 17 at 4:30pm. 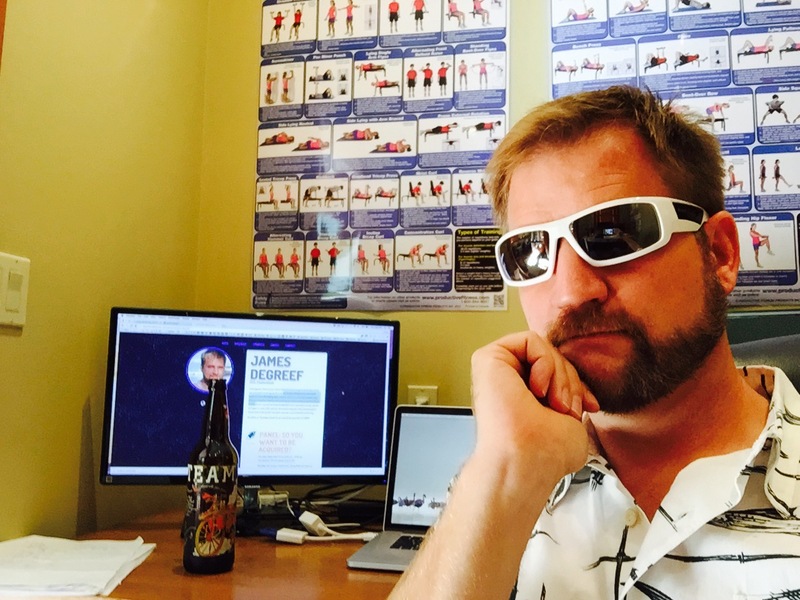 James is planning on doing a lot more angel investing and is excited for bringing a few “kewl” ideas to life. Dawn McCooey is the Skills Development Manager for the Women’s Enterprise Centre (WEC), a BC based not for profit providing loans, training, mentoring and business advising to women entrepreneurs throughout the province. She’s well known for her hard work, extensive travelling, bright smile, and the best baked goods you’ve ever tasted. Her love for the ocean is obvious, having once run a yacht chartering business with her husband and the fact that she’s an experienced offshore sailor! She’s won the impressive “Best boss in Victoria” award. McCooey and WEC moved their office to VIATEC’s headquarters at Douglas and Hillside in 2012 and are now located in VIATEC’s new Fort Tectoria building at 777 Fort Street. “We are proud to support the tech community and want to encourage and provide support to women entrepreneurs in this important and growing sector,” commented McCooey. The WEC has been increasing its profile for some time now, including the recent completion of Phase 1 for the “catalyst for growth” regional consultations. In this project, they are taking the results and the energy of last October’s successful BC Economic Forum, “Women as a catalyst for growth,” and are developing recommendations from four regions of the province. On September 8th McCooey is baking some more cookies, this time for the Women Entrepreneur Focus Group at Fort Tectoria. The goal is to provide insight into a study of women, entrepreneurship and risk. It’s conducted by Clare Beckton, Carleton University’s Centre for Women in Politics and Public Leadership executive director, and Janice McDonald of the Beacon Agency. McCooey is a very strong advocate for women entrepreneurs and the tech community is honoured to have her making a difference every day. Smooth sailing, Dawn!